The content of this website, save where otherwise noted below, is copyright (c) 2010-2017 Gary W. Olson, All Rights reserved. The website itself is WordPress software, used in accordance with their terms and conditions. The image in the website header, and the images in the video trailer for Brutal Light, were purchased for use from BigStockPhoto.com, and are used in accordance with their terms and conditions. The images are copyright (c) the artists cited on the BigStockPhoto.com website. The ‘links’ image appearing in my links blog posts was purchased for use from BigStockPhoto.com, used in accordance with terms and conditions, copyright (c) 3poD. The ‘personal’ image appearing in my personal (or ‘it burns! it burns!’) blog posts was purchased for use from BigStockPhoto.com, used in accordance with terms and conditions, copyright (c) Elena Ray. The ‘writing’ image appearing in my writing posts was purchased for use from Bigstockphoto.com, used in accordance with terms and conditions, copyright (c) Andres. The ‘bookpile’ image appearing in my reviews posts was purchased for use from Bigstockphoto.com, used in accordance with terms and conditions, copyright (c) silver-john. Pictures of Gary W. Olson on the home and about pages were taken by Kristyn Shelley-Olson, and are used with permission. 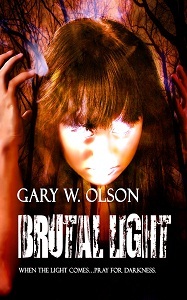 The art for the cover of Brutal Light was by Dawne Dominique, with rights to use purchased in December 2016. The art for the cover of Fading Light was by Jessy Lucero. The art for the cover of the 1st edition (now out-of-print) of Fairly Wicked Tales was by Rebecca Treadway. The art for the 2nd (also now out-of-print) edition was by Shawn T. King. The art for the cover of The C.A.M. 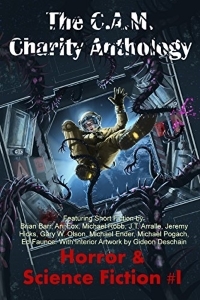 Charity Anthology: Horror & Science Fiction #1 was by Jack Hoyle. The art for the cover of Something You Should Know was by Gary W. Olson (I.e. “me”). The art for the cover of The Body in Motion was purchased for use from BigStockPhoto.com, used in accordance with terms and conditions, copyright (c) Feoris. The art for the cover of Fabulous Beasts was purchased for use from BigStockPhoto.com, used in accordance with terms and conditions, copyright (c) Sergey Nivens. Pictures of other authors and book covers in my blog were provided by the authors of those books, and are used with permission. Artist names are cited where the covers appear, when they are known. If I’ve missed citing or acknowledging anything I should have, please contact me using my contact page.